When I first read the blurb for MINOTAUR, I knew I had to read it, and I’m so glad I got an ARC from Month9Books. This story did not disappoint. I do have to say it took me a bit to get into the story. The writing style is unique and a little ‘slower’ than I’m used to. I felt as if I were taking a leisurely stroll with Ovid, the scholar. And then this incident happens and we meet Asterion, aka Minotaur, who leads Ovid to the mountain and the labyrinth of Minotaur legend. This story is so compelling, so heartbreaking, so different than anything you’ve ever read about the Minotaur. It is billed as the true story of the Minotaur, and I’m inclined to believe it. Asterion opens his heart, his soul as he tells Ovid about his trials and tribulations of growing up, about being made fun of and ridiculed. About being shunned and despised by his father because he was the son of a god. 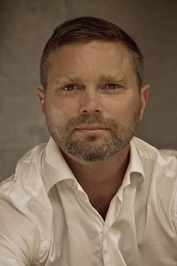 We learn of the love of his life and experience his heartache as he retells the moment when she was stolen from him. But the twist I wasn’t ready for was what really happened to him in the labyrinth. For those familiar with the Minotaur stories, the creature suffers a horrible, bloody, gory end at the hands of Theseus, the god-founder of Athens. This true story tells a different tale, one that will change everything you’ve ever learned or believed. I was mesmerized, spellbound, and my emotions were all over the place as I read this story. This is not your typical Greek mythology story-telling type book. If you’re looking for something like Percy Jackson retelling of Greek mythology, you’re not going to get it here. This is deep, dark and very solid, strong writing, and I’m happy to say I can give a two thumbs up review of this ARC from Month9Books. 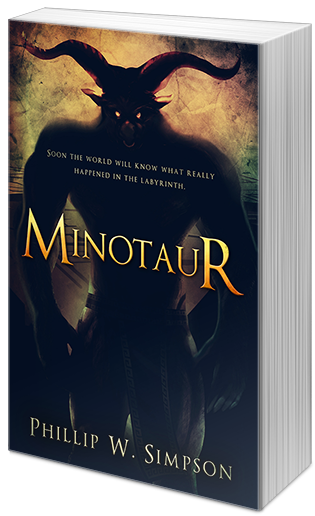 This won’t be a book for everyone, but if you like good fantasy that takes its time to unfold, then you’re going to love Minotaur. Minotaur nodded his huge head. “Yes,” he said. “Yes,” his eyes already glazing over with the weight of thousand-year-old memories. And then he began. Posted on September 21, 2015 November 1, 2015 by kford2007Posted in On WritingTagged #GreekMythology, #Minotaur, fantasy, Month9Books.